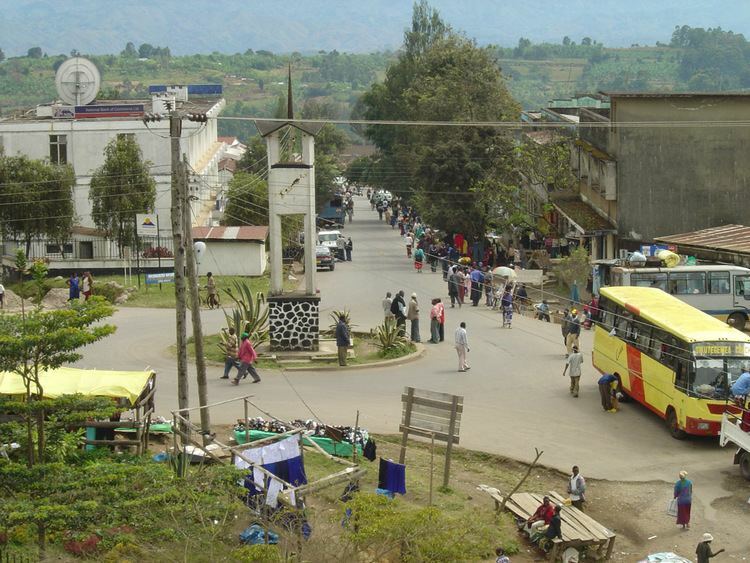 Mbeya is the first large urban settlement encountered when travelling overland from the neighbouring nation of Zambia. Mbeya is situated at an altitude of 1,700 meters (5,500 ft), and sprawls through a narrow highland valley surrounded by a bowl of high mountains. The main language is colloquial Swahili, and the English language is extensively taught in schools. Following the 1905 gold rush, Mbeya was founded as a gold mining town in the 1920s. The TAZARA railway later attracting farming migrants and small entrepreneurs to the area. Mbeya and its district was administered by the British until 1961. Mbeya Region was created in 1961. Mbeya City is now a growing metropolis and business centre for the southern regions and the neighbouring countries of Malawi, Zambia and Congo. The City is well connected with an all-weather road that forms part of the "Great North Road" running from Cape Town to Alexandria. The City has several tribes including the Safwa, Nyakyusa and Nyiha, all being agricultural peoples. Mbeya also boasts as one of the regions that form the bread basket of Tanzania. Local government is administered via the Mbeya Urban District authority and a Regional Commissioner. Mbeya has weather with enough rainfall and fertile soil which enable it to be thelargest producer of maize, rice, bananas, beans, potatoes (Irish & sweet), soya nuts and wheat in the entire country. Tanzania has a free market in agricultural produce, and Mbeya transports vast amounts of its maize to other areas of Tanzania. There is also extensive animal husbandry, with dairy cattle predominating. Mbeya is also the biggest producer of high-value export and cash crops in Tanzania; those crops are coffee (arabica), tea, cocoa, pyrethirum and spices. There is some smallholder cultivation of tobacco. Firewood is collected by women and girls, from the wooded valleys and mountainsides. Bamboo is naturally abundant in the forests, and there are plans to teach local people about this versatile plant and its many uses. Some gold is still mined in the rural Chunya District, by artisan miners. Mbeya is considered to be heading the Southern Highlands Regions, that's why there is a Mbeya Referral Hospital which serves the whole of the Southern Highlands regions, Bank of Tanzania BOT, Mbeya Cement Company, Afri Bottlers Company Coca-Cola Company, SBC Tanzania Ltd Pepsi Cola Company, Tanzania Breweries Limited, NMB, TIB, Mbozi Coffee Curing Limited, Tukuyu Tea Company, Tanzania Oxygen Limited TOL - KYEJO, CRDB all these serve as zonal representative for southern Highlands. 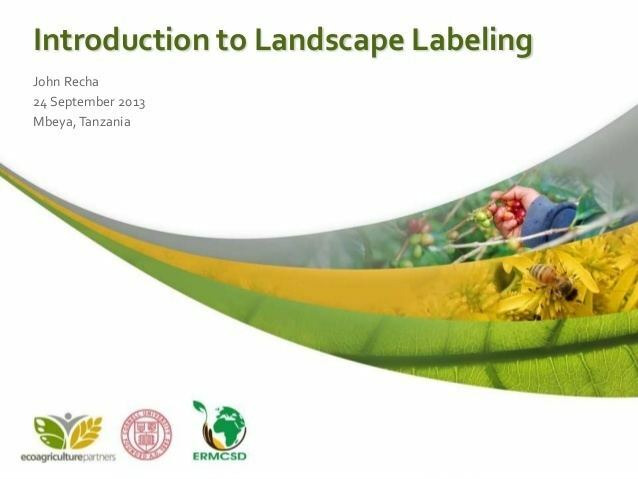 There are also a number of companies and statutory organisations with zonal offices in Mbeya. Teofilo Kisanji University is a young institution of the Moravian Church in Tanzania offering courses in theology, business, arts, sciences, journalism and educational studies, as well as training pastors. Since 2005, it has grown out of the earlier Moravian Theological College. The college is situated at Soweto suburb. Mbeya University of Science and Technology (MUST) formerly known as Mbeya institute of Science and Technology (MIST) is a public institution offering degrees, advanced diplomas, and ordinary diplomas in various engineering disciplines. The College is at Iyunga area. Mzumbe University (MU) Mbeya Campus is situated in Forest area next to the Bank of Tanzania. This public University offers bachelor's degrees and diplomas in law and business, as well as providing evening programs in postgraduate studies. Mbeya has a subtropical highland climate (Cwb, according to the Köppen climate classification), with humid summers and dry winters. The general range of temperature is between −6 °C in the highlands and 29 °C on the lowlands. The weather from June until October, is dry and cold. The heaviest rainfall occurs during the months December to March. The area around Mbeya town (especially in Tukuyu) enjoys abundant and reliable rainfall which stimulates abundant agriculture on the rich volcanic soils. Average rainfall per year is around 900 mm (35 in). The rainy season is from March to May. The area around Mbeya has been called the "Scotland of Africa". The hills are clad in heather and bracken, but botanically they are more closely related to the Fynbos (fine bush) of South Africa’s Western Cape Province than the Highlands of Scotland. The nearest mountain to Mbeya is Loleza Mountain, which rises over and behind the town. Mbeya Peak is visible but some distance away. 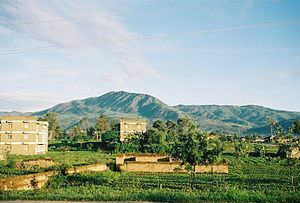 Mount Rungwe is the highest mountain in the wider Mbeya region and it dominates the skyline for several kilometers around. It is composed of ten or more dormant volcanic craters and domes. Rising above the small town of Tukuyu, at 2,960m, Rungwe is southern Tanzania's highest peak, and is among the highest in the country after some of the peaks in northern Tanzania such as Mount Kilimanjaro (5,895m) and Mount Meru (4,565). Mount Rungwe is surrounded by a catchment forest reserve that was gazetted in 1949. This forest reserve incorporates montane forest, upper montane forest and montane grassland, with lesser amounts of bushland and heath at the upper elevations, found in low bushes along streams and at the edges of montane forest. The forest is home to a variety of significant forest flora and fauna, including the threatened Abbott's Duiker. The forest is regarded as an important bird area, with two species listed as vulnerable. The most notable creatures are Rungwe bush vipers and Colobus monkeys. Also ecologically important are the Poroto Mountains, south-east of Mbeya. In 2005, a completely new species of large monkey, the Kipunji, was discovered living in the southern highlands to the south-west of Mbeya. 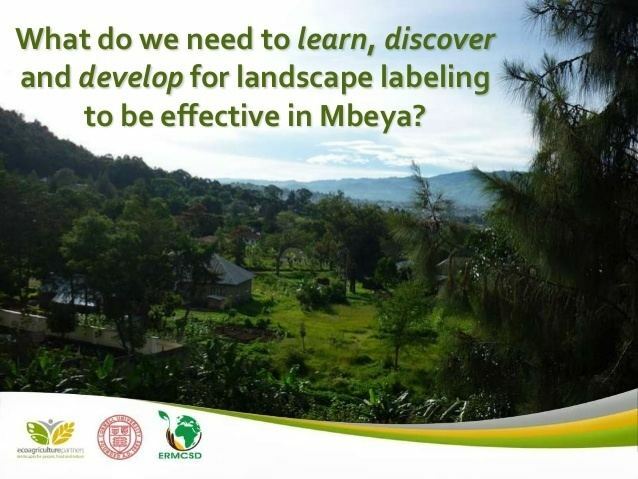 The Mbeya region has not yet been closely studied by scientists. The Kitulo Plateau, famous for its orchids and display of native flora is now within the designated Kitulo National Park. Forests in the area, even in the reserves, continue to be encroached upon and degraded. However, there has also been extensive tree and forest planting, which ensures the local firewood supply. There is a small illicit trade in orchid bulbs, which is thought to be endangering the survival of some species. Mbeya can be reached by road on the A-7 highway from Dar es Salaam , or via the TAZARA railway line from the capital (approx. 600-miles, two overnight passenger trains per week). Mbeya connects to the rest of Tanzania by air through Songwe Airport which was opened in December 2012, it is one of four major airports available in Tanzania. Auric Air and Fastjet flies Songwe to Dar es Salaam. The rains normally start in October and end around May, followed by a dry and cold spell between June and September. Conventional tourism is not a major contributor to the local economy and there are no visible months with peak tourism. The city lies in the Rift Valley and is considered Csb by the Köppen-Geiger system. The cooler and mountainous climate in the town attracts mainly locals from other parts of the country and foreigners for the game watching and trout fishing. The local government has begun trying to widen tourism beyond animal and wild game viewing, and have invested in producing better mapping and developing a local tourist center. Well-defined hiking trails have been established to enable hikers to reach the elevated areas and bio-diverse highlands, although the trails need to be properly mapped. For self-sufficient hikers, there are various routes in the Poroto Mountains around the small town of Tukuyu. The city also has various rock and cave painting sites. Many of the rock sites have still been undocumented by the Antiequits department and provide a looking glass into the traditional cultures of the local surrounding communities. The city also has a significant amount of transit passengers heading towards Lusaka/Malawi from Dar es Salaam Port that often make a stop in the city for overnight lodging or food.